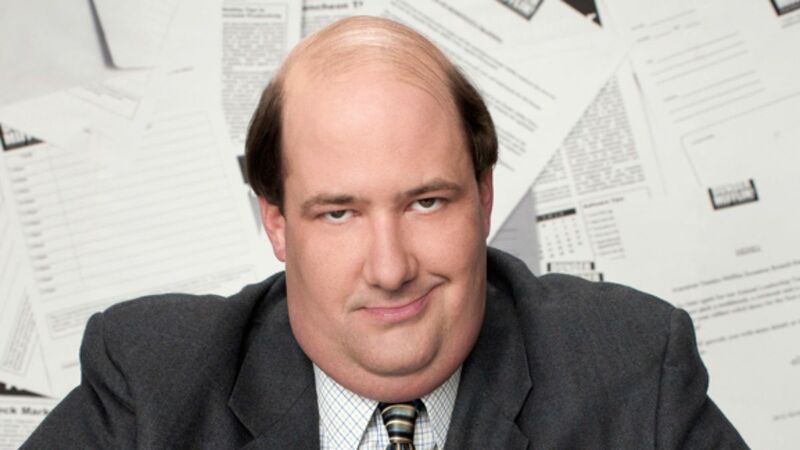 Brian Baumgartner secured a soft spot in our hearts as the not-the-sharpest-tool-in-the-shed accountant Kevin on The Office. His television and film appearances over the last 15 years include Arrested Development, Mike & Molly, The Bridge, Scream Queens, Ghostbusters, and Wilfred. He’s a celebrated golf player, gifted gambler, and Daytime Emmy Award winner for The Office: Accountant webisodes. He’s also the latest subject for our In Bed With series. We caught up with Brian recently at The Hollywood Roosevelt to talk offices, pick-up lines, and craziest hotel stories. Have you ever worked a real office job or in an office environment? I have. Back when I was doing theater- I worked as a paralegal in a big law firm to make extra money. The only real thing I remember doing was: counting pages. Literally. For huge documents that were to be entered as evidence in trials- I had to go through and count the pages to make sure they were all there. I’m proud to say- nobody ever accused me of miscounting. We understand that your a pretty big poker player, what is the most you have ever won or lost on one hand? A gambler never tells the truth about how much he wins. Or how much he loses. So what’s the real point of answering?? What do you remember about this picture? I remember I was a freshman in college. And I was at an apartment party. And I might have murdered the person who released this photo to the world. Which Michael is the best, Jordan, Tyson, or Jackson? Why? Easy. Jordan. He’s the undisputed GOAT. Jackson and Tyson were great. But you can make an argument for The Beatles. Or for Ali. Or any number of musicians or boxers. But MJ is the GOAT. Rock or hip hop? Blondes or brunettes? Nike or Adidas? Trump or Clinton? Golf or Football? Beach or Pool? New or Vintage? Coke or Weed, or neither? Rock- unless I’m out late at night… then hip hop. Blondettes. Nike shoes and clothes, Taylor Made (adidas) golf. Clinton. Playing golf, watching football. Beach. Vintage, or I prefer to call it: “Classic”. Neither, whiskey. What was your best pick-up line, one that actually worked? A true artist never reveals his secrets. Is your father a robber? Then who stole the stars and put them in your eyes. Did you know, you have an ask me anything (AMA) request on Reddit right now? I was not aware. What does it mean? Is it a good thing or a bad thing? I’m pretty good at Twitter. Terrible at Instagram. But have never been on Reddit. Should I try? What’s the craziest hotel story you’ve heard of or experienced? 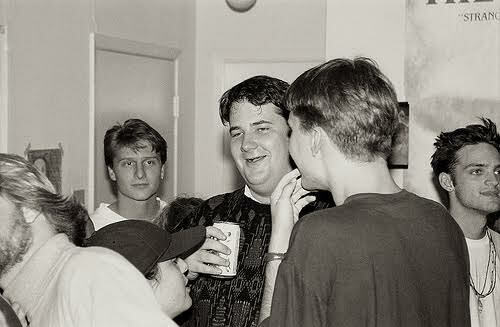 I was in college. Spring Break. Acapulco. Lots of guys in 1 room. I woke up to find 2 guys were missing. No worries. Prob got lucky, I thought. Then come to find out- they had been detained by the hotel and the Mexican police had been called and they were going to jail. For allegedly defecating on the hall floor and firing off a fire extinguisher. Now I was promised afterward that my friends were not the offenders- but the Mexican police felt they had their men and it cost their families a lot of money to be wired to the hotel and my buddies were put in a plane back to the US. The upside was- I had a lot more room in the hotel room for my last few nights. What’s your favorite thing to do in bed?